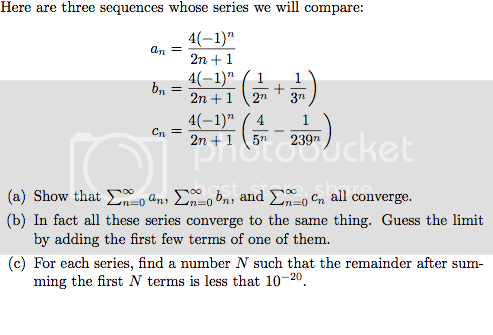 For part (a) I have no problem proving the there converge using the Alternating Series test. In part (a) it gives the index of summation: n = 0 is where you start. [color=#000000]These first series can be easily computed with the help of complex analysis.